Are you a Small Business Saturday participant? If you’re not, you most certainly should join in this wonderful event. Do you remember what happened about a month or so before Christmas? How about a few weeks into January? What has just about everyone thought once they entered a store say about September or the start of October? Well, if you are eyes are rolling trying to think what the answers are don’t fret I’ll give them all to you. Sometime around Christmas you probably seen New Years’ party and promo items, and then in January, Valentine’s Day candy was all stocked. We have all walked into a store around the beginning of October and seen the line of Christmas Trees prepared for setup. Wise marketing follows an old adage, “The early bird gets the worm,” and none of us can argue with that logic. On November 27, 2010, American Express TM and National Trust for Historic Preservation (non-profit), Boston Mayor Menino and Roslindale Village Main Street had a great idea. Their combined initiative would create what is known as “Small Business Saturday”, an opportunity to put local brick and mortar business on the spotlight. In 2010, the UK created its own version of Small Business Saturday and continues to be one of many on a growing list of participating communities. From its first appearance to a glowing and profitable 2018, Small Business Saturday has grown into a holiday shopping tradition beneficial to local small businesses. The community-driven event continues to serve as the foundation for building shopper awareness and patronage into the holiday shopping tradition. As a small business, you have an incredible opportunity to grow on the popularity of Small Business Saturday. However, avoid the mistake that most small businesses make, waiting too closely to the actual shopping event to conduct your marketing. In this post, we will give you 4 incredible marketing ideas that can help you make Small Business Saturday one of the best days your business has ever experienced. 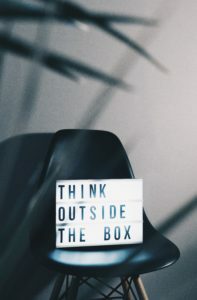 Remember these are “ideas”, being a wise small business owner often means thinking outside of the box in your marketing approach. I hope that you have a web presence, if you do not, get one. You do not have to spend thousands, there are plenty of online services, including sites such as UpWork, and Freelancer (Fiverr is a bit risky, but I would not exclude it as an option). Be creative just make sure to keep all contest legal, fair, and fun. Let’s say you have a sports shop. Your research (and this should be constant) shows there are new items on the market, less known, but new and trending pretty well. Order a few, spotlight, and track your sales. What you will find are where your hot products reside. Burger King TM does this with its “Cheesy Tots”, one month they are available, and before you know it we sit and twiddle our thumbs waiting for them to come back. Burger King’s marketing is the type of desire and demand you want. Find your hot products! Here is the hook advertise your hot products like mad drawing the crowd on Small Business Saturday (heck if they’re small give a few way ). Again, now is the time to research products. Why not sponsor a “back to school” or “senior help day” and promote your Small Business Saturday as well? Of course helping your community is a big positive, but you are also a small business owner. Raffle off give certificates for Small Business Saturday. You could also team up with a number of local businesses that are non-competitive. There will be free media coverage, and you will feel good about helping your community while growing your business. A mass of big companies such as Macy TM Jewel Food Stores TM, and a multitude of businesses that offer gift cards and discounts for charitable exchange. Good for your community and Good for business. Small Business Saturday emphasizes local community support. One super marketing idea that is both business and community based is to host your own version of “Family Trivia”. Create a sign up form, make the form available online and in-store . Make sure you personalize the sign up form, especially emphasizing Small Business Saturday as a community-oriented event, and seek additional broad information, such as “What makes you a proud________community member? The event can always be held in close proximity to Small Business Saturday. Do not limit yourself to any ideas. Again, the more the merrier, get your fellow Local Small Business Owners involved! Remember, even though we are at the beginning of the year, soon we will see summer holiday promotions up and running. Do you want success for your Small Business Saturday? Be an early worm, November 30, 2019 awaits you.